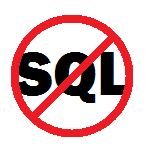 MySQL Without The SQL—Oh My! Could you be working on a project without a database administrator to set up relational tables, indexes, and schemas? Or are you tired of embedding ugly lines of SQL in your pristine PHP code? There is new hope for you. The hype of 2010 was clearly NoSQL. MySQL and PostgreSQL make promising new releases. PostgreSQL has roughly one-quarter of the market share of MySQL, and I’d guess that PHP projects favor MySQL even more. But PostgreSQL deserves some love from the PHP community too. PostgreSQL is open source with a simpler license that’s closer to PHP’s license. As RDBMS technology, PostgreSQL has always been more advanced than MySQL. Don’t you wish MySQL supported check constraints? Sequences? Recursive queries, common table expressions, and window functions? Doctrine 2’s first beta release is out. We will take a look at how this Orm lets you almost ignore the existence of a database. 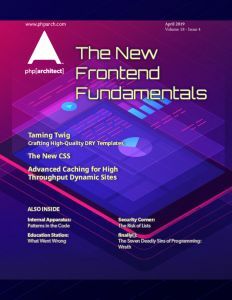 If you’ve only ever used a framework to do data-driven or object-oriented programming, you might not know as much as you think. Read why it’s important to learn object-oriented programming and SQL…even if your framework does all the heavy lifting for you. Is generating a PHP application to access a database a good development process?